A handful of vastly outnumbered police officers stood by or looked on from the police station across the road -- unable or unwilling to uphold law and order that has quickly melted away. "There has been no aid, we need to eat. We don't have any other choice, we must get food," shouted one man. "We are in a crisis," cried another. Two small aftershocks hit while looters marauded through the building, prompting screams of "Earthquake, earthquake." "This situation forced us to do this. We need everything, food, water," said a group of teenagers. "We took anything we could take. We can't even cook. So that's why we looted." 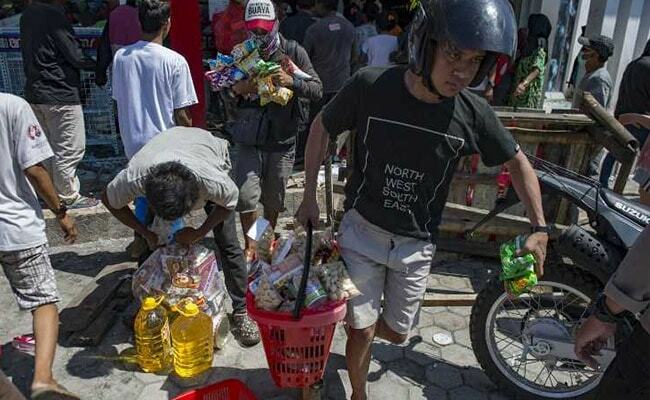 "There is only one petrol station that is still operational," Ray Pratama, a local photographer -- who was not involved in the looting -- told AFP. "People are desperate." "If you sell with reasonable price, that's okay, but they increase the prices sharply, for basic goods," said one female looter. 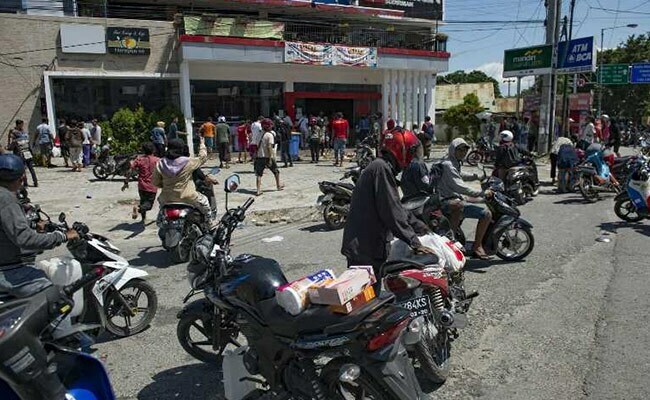 "The shops aren't open and the markets are empty," one 33-year-old looter, who only identified himself as Eddy, told AFP. "We have to break into all of them one by one."